Years ago, it was not uncommon to enjoy effective medical care from a knowledgeable and friendly medical professional from the comfort of your own home. While the idea of doctors making house calls may seem to take a page out of history, the truth is that house call doctors still exist today thanks to the team at House Call Doctor Los Angeles. In fact, because of the demanding, fast-paced nature of modern life, our medical team, led by the acclaimed Michael Farzam, MD, believes that the time and costs saved by undergoing treatment by home care doctors is actually more valuable today than ever. 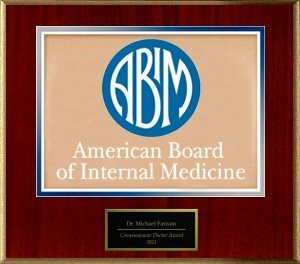 Dr. Michael Farzam is a board-certified physician, certified by the American Board of Internal Medicine. 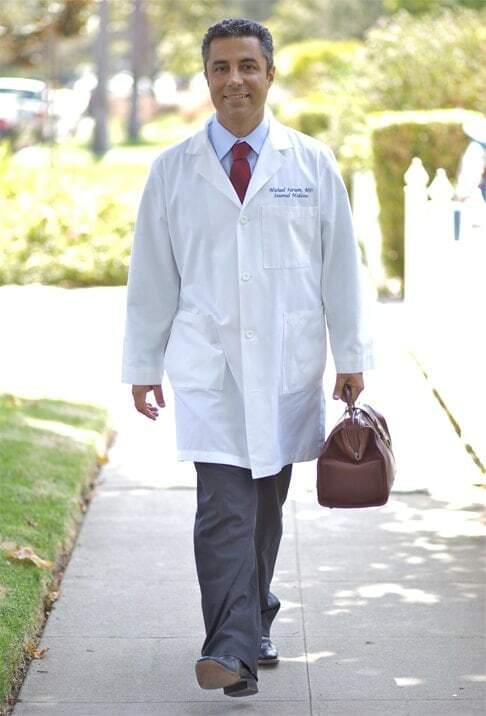 As the founder and CEO of House Call Doctor Los Angeles, the renowned Dr. Farzam is committed to providing each patient with first-rate care and attention in the comfort of their own homes. The concierge doctor takes great pride in his abiltity to pay close attention to each patient's individual needs. 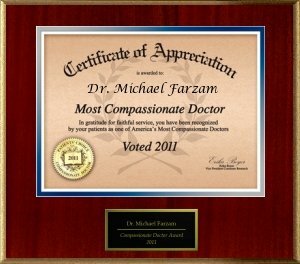 While providing high-quality comprehensive care, Dr. Farzam has garnered a well-earned reputation for compassionate, friendly care. As a highly trained medical expert, he is equipped to diagnose and treat most acute or chronic medical problems and minor injuries. Why Experience Treatment at House Call Doctor Los Angeles? Those who don't want to wait hours in an emergency room or urgent care facility. Individuals who are unable to make an appointment with their doctor within a suitable time-frame. Individuals who are too busy at home or work environment to take time away for a medical office visit. Those who are too ill to visit the doctor’s office, who would prefer an immediate visit by a house call doctor. Those who would prefer not to be exposed to other patient's germs or illnesses at a traditional doctor's office. Individuals who would like to experience the personalized medical care that can only be provided by skilled house call doctors. Those who do not currently have and/or cannot afford a medical health insurance plan. Those who currently have a health insurance plan but don't have access to a physician, or have yet to choose a doctor on their health plan. 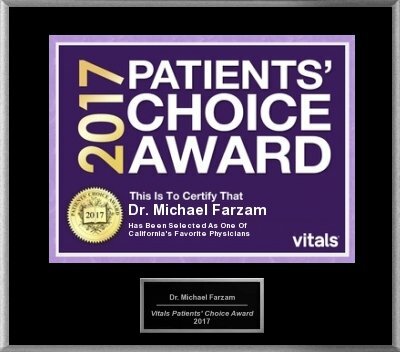 Dr. Farzam's concierge house call doctor coverage extends throughout greater Los Angeles and other surrounding areas as well. We offer care 24 hours a day, 7 days a week, 365 days a year. We even offer same-day appointments for those with pressing medical needs that don't necessitate a visit to the emergency room. 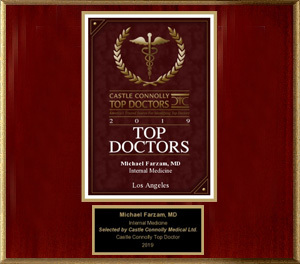 If you're tired of the long waits and impersonal care that is common at most traditional medical facilities, don't hesitate to schedule an appointment with Dr. Farzam at House Call Doctor Los Angeles today. When you need a top-tier hotel doctor in Los Angeles to come to you and provide skilled medical care. 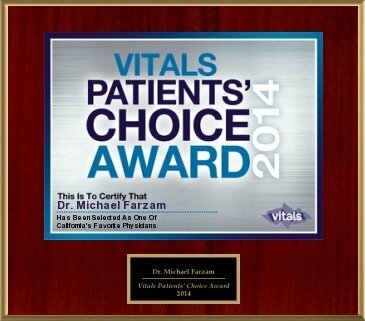 "Dr. Farzam came to my house when I had a terrible sore throat. It was difficult to make it out to see a doctor because I have two small children."